We make it harder for you to fail!" Schedule Your Free Coaching Strategy Session Now! 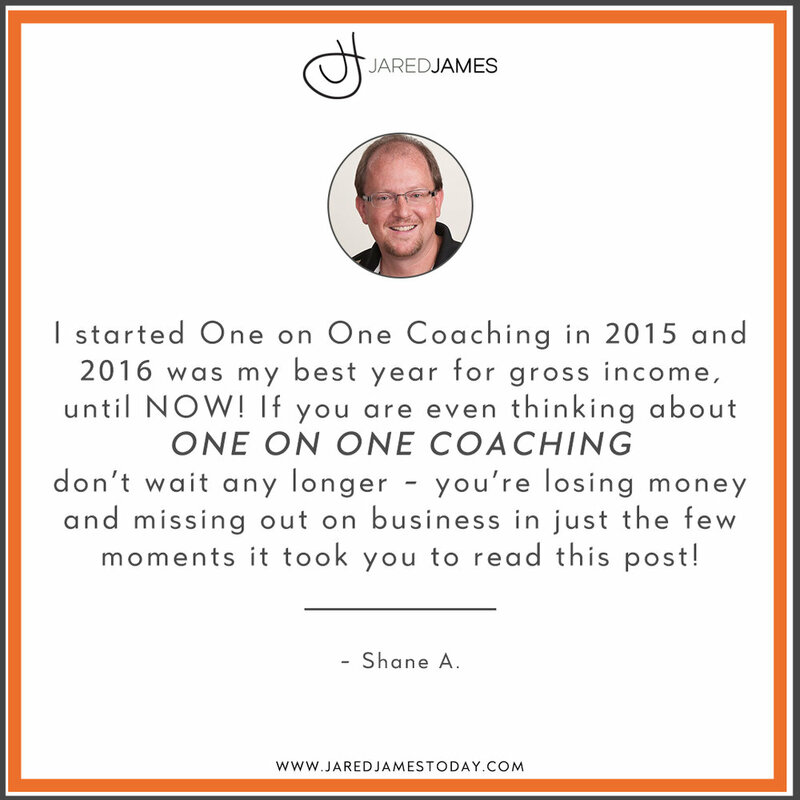 For those of you interested in investing in yourself and your career and taking your real estate business to the level that it belongs then One on One Coaching could be a great option for you! Note: The responsibility is on the student to find a partner to group up with. 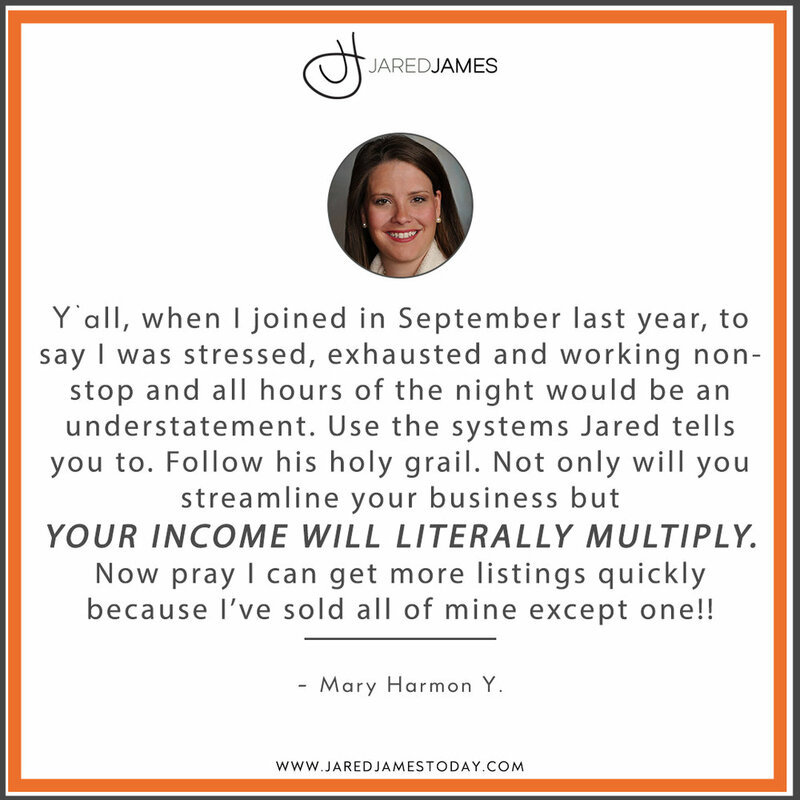 Includes: 2 calls per month: 1 with your coach and 1 with your coach and 1 with your coach and similar individuals in a mastermind format, 1 group broadcast per month with Jared and access to our Virtual Coaching. *Note: Team Leader Coaching is only available to those or those that desire to form a team or brokerage and need to work with a coach that can help them implement the systems, tools and strategies necessary to get there! To learn more and to schedule a free consultation to see if One on One coaching is a right fit for you just the click the button below, fill out the form, and someone from our company will be in touch right away!